This was the very first character that players met at the start of the game. This person was found dragging Rhys' unconscious body across Pandora before tossing him up against a tied-up Fiona and holding them at gunpoint, forcing them to tell their story. This stranger's ultimate motive is a mystery. This person's identity, even more so. But Shacknews is going to take today to attempt to deduct this mystery man or woman's identity by breaking down the suspects, one by one. 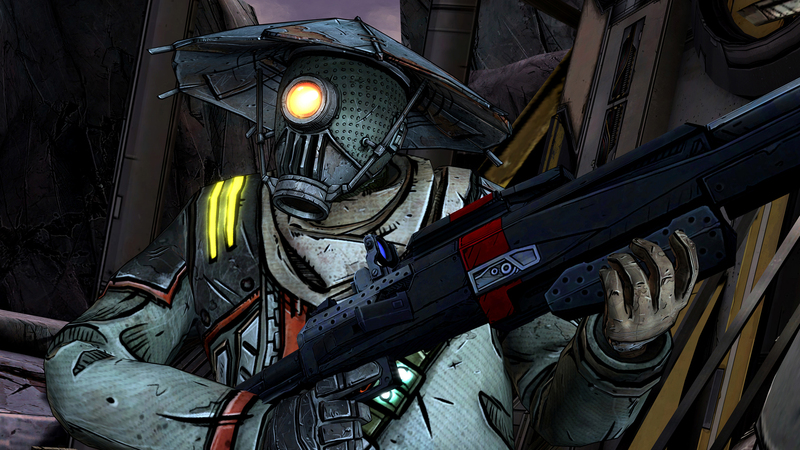 Join us, as we breakdown Tales from the Borderlands' most burning question of all… just who is this person? We start with the last living Atlas employee. Cassius didn't come onto the scene until the third episode, Catch A Ride, but the meetings weren't entirely pleasant. Not when Athena was ready to murder him on the spot. Cassius has been missing since the events of this episode, with players only knowing that he's somewhere with Vaughn. Where, exactly? 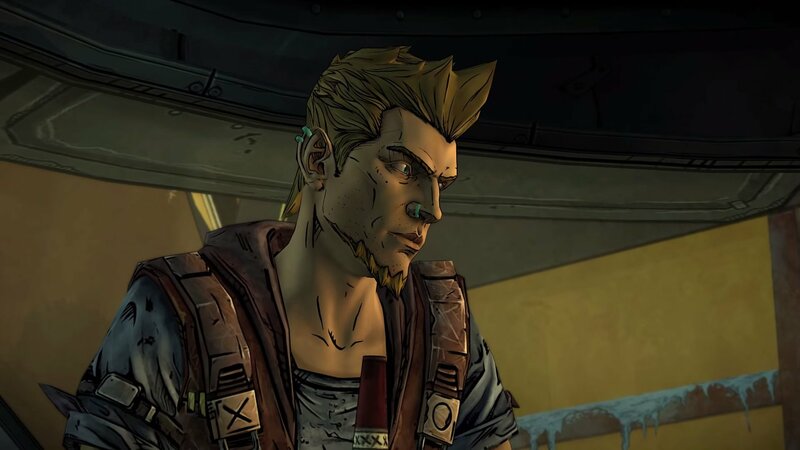 That's uncertain, so it stands to reason that he'd still be on Pandora and as an Atlas employee, he'd certainly have a vested interest in knowing what happened with Handsome Jack..
What rules Cassius out is mainly that he's been trying to stay isolated. He purposely dropped under the radar, hoping to stay away from all the madness going down along the surface. While the disguise could be seen as a way to hide from Athena, the motive doesn't entirely fit. This slot could theoretically be for Vallory, but there's something about that idea that just doesn't fit. Vallory doesn't seem like the type to disguise herself, nor does she seem like the type to do her own dirty work, unless it's absolutely necessary. So why adopt a disguise? Especially when you can have your no-good son do it for you? The important thing to note is that the hunt for a Vault is still in play and that remains Vallory's main objective. If she can have August wrangle the crucial information out of Rhys and Fiona, why not? Of course, the disguise motif doesn't really work here, either. August hasn't been shy about holding everyone at gunpoint without any sort of subtlety, so why start now? The motive is there, but the methodology is suspect. Man, I had this as my pick right before Escape Plan Bravo released. But that episode pretty much turned any negative expectations of Vaughn on their head, just by virtue of his sheer absence. Yes, Vaughn was also completely M.I.A. for the fourth episode, stuck with Cassius in parts unknown. And judging by the events of that episode, it doesn't look like he's about to betray the party anytime soon. If he was going to do it, it surely would have been to get ahead in Hyperion. But now it looks like Yvette has taken that opportunity and run with it. 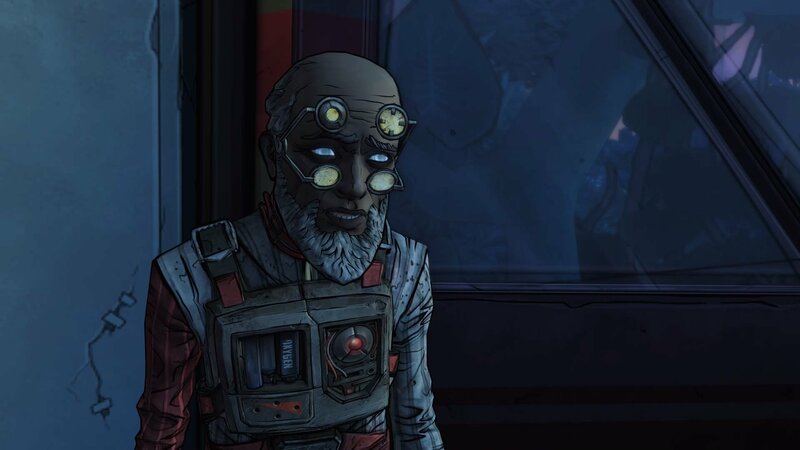 As mentioned in previous "burning questions" features, there were reasons to find Vaughn suspicious that go beyond him simply attempting to bargain with Vasquez in the early episodes. He was always the low self-esteem, "try too hard" kind of guy. He was the kind of guy with a noticeable inferiority complex, as evidenced during his many talks with Rhys (primarily the one in Catch A Ride about Rhys ditching him at an old college party) and it wouldn't be out of the realm of possibility that Vaughn would still want something out of this entire ordeal on Pandora. Would he go so far as to don a mask? Unlikely, especially in the aftermath of Escape Plan Bravo. Is it safe to rule him out? Not entirely. It's a long shot, but not out of the realm of possibility. Now here's an interesting hypothetical. What if Scooter actually survived his plunge back to Pandora in Escape Plan Bravo? It's insane to think that he'd be in one piece, so would he be injured enough to require armor and a mask? What would Scooter's motive be? Well, after taking a nosedive on the planet's surface, he's bound to be curious about what set them all on this journey to begin with. Getting the backstory to learn about how Fiona's been using him would feed some of that curiosity, as would the many other lies she and Rhys have been using on their path to a Vault. However, he'd also be curious about how the team carried on in the aftermath of his apparent demise, whether the team paid tribute to him or not. With Handsome Jack back in action at the end of Escape Plan Bravo, his ego can't help but make his presence felt. And if anyone is going to get a hostile twitch from Jack's return, it'll be Athena. From her perspective, she'd wonder exactly how this happened and the key to finding out would be from Rhys and Fiona. Hence, holding them at gunpoint. 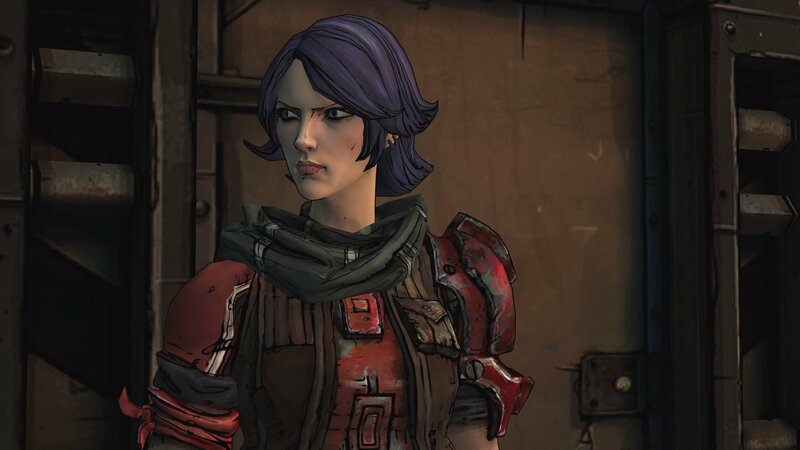 Athena hasn't been seen since the events of Catch A Ride, taken down by fellow Borderlands bounty hunters Brick and Mordecai. Would she don a disguise to stay under the radar, not just from the other bounty hunters, but also from Janey, who she's still trying to keep her occupation hidden from? Many of the pieces fit here, especially since she's able to keep her Kinectic Aspis shield hidden from sight. She definitely ranks among the favorites to be our mystery captor. "That suit he's wearing... it looks familiar... but I- hmm, I can't place it." That's the quote from Fiona at the start of Escape Plan Bravo and if she's starting to get a sense of familiarity, then it stands to reason that she might know this person. And who would she know better than Felix, the man that raised her? 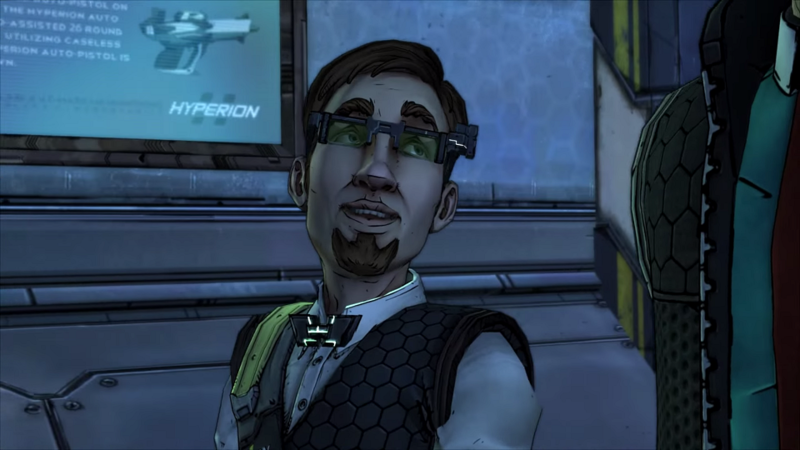 The color motifs of this mystery person match those of many of the game's characters so far, but his wardrobe color scheme of the last episode most notable matched that of Fiona's old father figure. And really, who else would know the ins-and-outs of Pandora the way Felix would? Now the problem with this theory is that Felix was… kinda dead when he was last seen, way back at the end of Zer0 Sum. Or at least that's how it appears. Given his decades of thieving experience, at what point is it reasonable to wonder whether he had an escape plan in place? He wasn't exactly found in pieces, like Vasquez. Felix's body was never recovered and it stands to reason that he may have indeed escaped with his life, if only slightly worse for the wear, considering how much an exploding briefcase bomb hurts. Over the course of the first four episodes, players have slowly learned that Felix's actions may not have been entirely selfish. There seemed to be a degree of altruism to what he's been doing, his most notable action being to hire Athena to watch over Fiona and Sasha. But exactly when did Felix approach her about this? Can we assume that this might have happened after his supposed death? Otherwise, why turn to a bounty hunter to watch over them at all, unless he was sure that his plan to steal the money was going to go off without a hitch? Also, remember the message Athena gave Fiona and Sasha when she told them that he had hired her. "He wanted you to know. He also said to tell you he's sorry." Could there be a greater con for a con man to pull off than to cheat death and wait for all the smoke to clear before emerging with all the details he needs to come away with his greatest heist ever? We could be witnessing Felix's master opus. 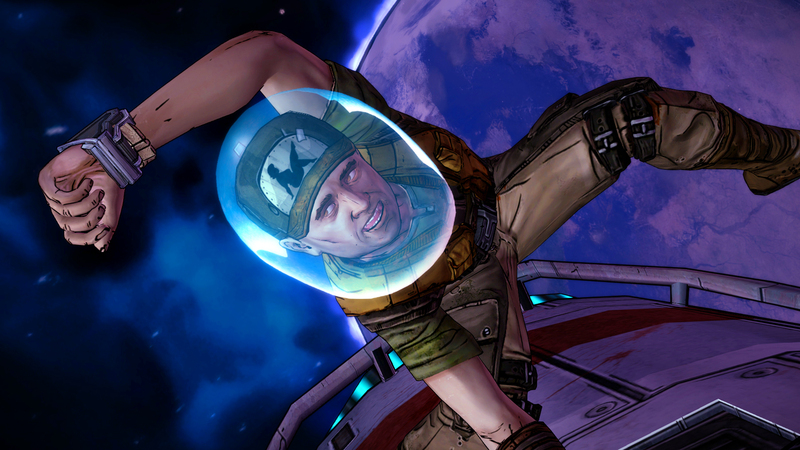 There's only one episode remaining for Tales from the Borderlands. 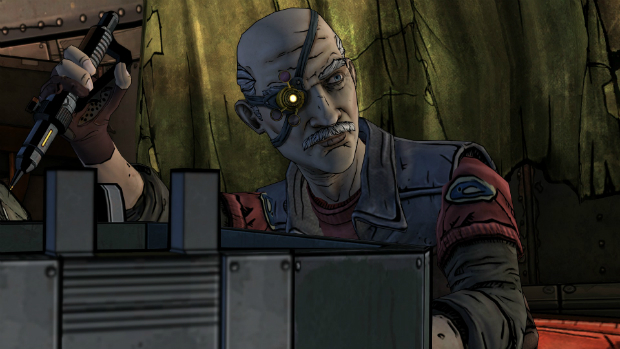 For more, be sure to read up on our review-in-progress and then ask yourselves these questions before Telltale's finale.